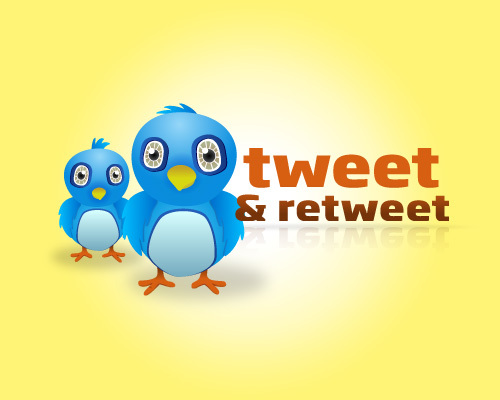 How To Get More Retweets From Your Tweet? Twitter is undeniably one of the most popular social networks on the internet today. Millions of people log in to their Twitter account daily to tweet and follow their fellow Twitter users. With the kind of system twitter has, many experts see a great opportunity for product endorsements or anything related to advertising. In fact, many celebrities are paid huge amounts of money just to include specific products in their tweets. However, these celebrities are already popular in the real world. They won’t be having any kind of problem getting followers. Ordinary people on the other hand must invest huge efforts if they want to get a decent number of followers. If you are planning to use your Twitter account to earn extra money, then you would want more followers to read and retweet your tweets. Getting huge numbers of people to retweet your tweet will be a time-consuming and difficult task. But with the following strategies, this task will become easier and faster. MediaMister.com is a site where you can get people to retweet your messages. It is a guaranteed way to get retweets but it comes with a price. You have to buy retweets from them. This is the easiest and fastest way to do this task. The only thing you have to do is pay them for the work they have done. If you want to do things the harder way, then you should start befriending those influential individuals on Twitter and have them retweet your tweet. There is a chance that their followers would retweet your tweet as well. You can also become creative with your tweets. Many will only retweet tweets if they find them interesting or heartwarming. Another tip is to not blatantly advertise a certain product or service in your tweets. A lot of people will find this annoying; so, make your tweets appear as normal as possible. In some people’s view, having a stable number of followers is enough to keep alive whatever money making scheme they have. Although the number of followers is an important aspect, it is not enough if you want to truly earn efficiently from your Twitter account. Retweets are important since more people see your tweets when other accounts retweet them. If this continues to such a degree that your followers’ followers too retweet your tweet, the number of people who have seen your tweet will exceed the number of your followers. In this way, people who will be able to read your tweet will not be limited to your followers only. You will have a wider range of audience and thus a more effective advertising or money making scheme. Some people make this task look easy when in reality, it is not. You have to invest your time and sometimes even your money on this task if you are aiming for success. But in the end, you will find that everything you have invested will return back to you. You may even get more than what you originally invested provided that you understand the strategies involved.